The martini generation or ‘millennials’ are coming of age. But although they are fluent consumers and intuitive users of technology, their self-stated lack of engagement with and understanding of financial matters is stark. Tough economic times, and generally shaky confidence in managing their finances, means millennials need support to weather the storm. So, who are millennials? Why are they different? 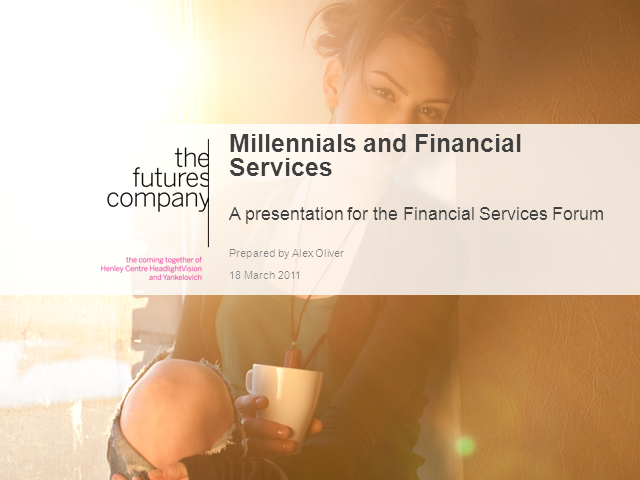 What is the impact of their fluid lifestyle on the way they interact with financial services? Alex Oliver from The Futures Company lays down a blueprint for successful engagement with this powerful cohort.